Imagine going for a routine visit to the dentist and, while examining, he notices a cavity in a tooth. Without proper care, you know there is potential for the cavity to get worse. 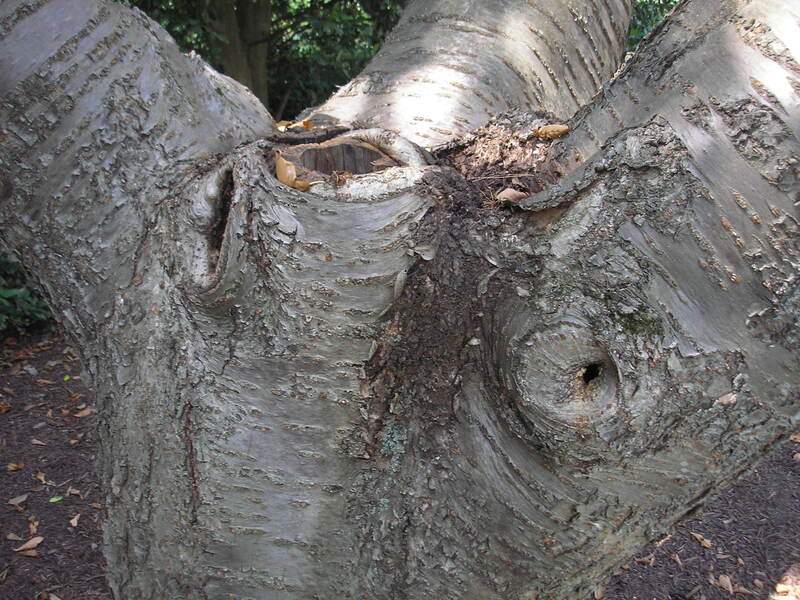 Trees get cavities too but not because of too many sweets.Trees can develop cavities for many reasons including over mulching and buried root collars. These culprits can lead to vascular collapse within the tree and decay pockets around the lower trunk wood. Like teeth, it is important to watch for signs of decay as the first preventative measure. Unlike teeth, it is not recommended to have your tree cavity filled. It is a popular belief that filling cavities with tar or concrete can fix it right up. These recommendations should be avoided as trees can be further damaged by this treatment. Trees sway and twist so overtime the filling will continuously rub the inside surface of the tree. This weakens the tree’s inner walls and allows decay to spread. Since these materials do not bond with wood, resulting gaps pave way for trapping moisture. The combination of moisture and darkness creates an environment for fungi to thrive.